The works of art being presented follow the time honored themes of spirit and nature that are so closely linked to Japanese culture and utilize both modern and traditional styles: Oil painting, Acrylic, Water color, Nihonga(Traditional Japanese painting), Indian ink drawing, Engraving, Dyeing, Textile, Origami paper cutting, Three-dimension art, Ceramic, Handicraft, Kimono, Embroidery as well as Calligraphy. 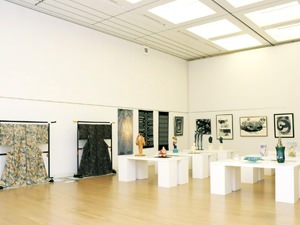 There are also be several demonstrations and work shops, such as calligraphy and origami, that are held for the general public and have become a beloved segment of the exhibition for locals who are in attendance. 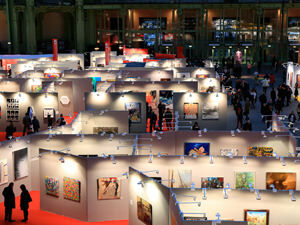 Since the first exhibit in Paris in 1975, this event has been held in over 100 cities and over 25 countries. So far, it has been held in the United States, Canada, Chili, Cuba, Mexico, China, Spain, Belgium, France, Germany, Holland, Italy, Portugal and Switzerland plus several others. The number of works that are presented are approximately 250 every year and in recent years, local attendance to the exhibition has been estimated to be between 12,000 to 20,000 people. 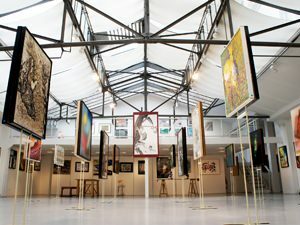 Since 1996, this exhibition has been held at the National Art Center in Tokyo during the month of August and features mainly Japanese and French artists. Some of the participating French artists have been included in such art shows as "Le Salon des Artistes Français" and "Le Salon d’Automne". This exhibition has taken place every autumn in Paris since 1985 with the objective to introduce amateur French and Japanese artist to the various Parisian art collectors culture along and with immersing them into Parisian culture. This exhibition has collaborated with the Marais gallery since 2011 which is located on the Place des Vosges street which sits in the heart of Paris. 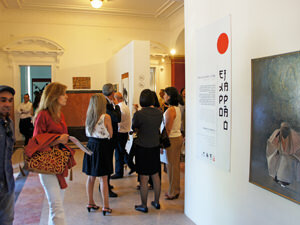 Participated on the "Nouvelle Ecole de Paris UKIYO- É"
Sales promotion of Japanese and French art. 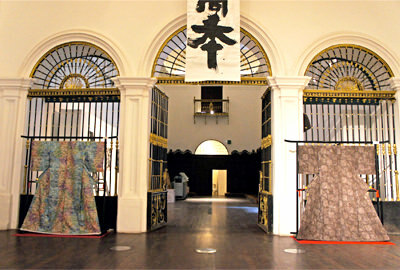 The CAEA (Club des Amis de l'Europe et des Arts) was established by founder Toshifumi Magori in 1972. The first exhibition was held in ORTF, Paris France in 1973. In 1981, after 8 years of growing momentum within the artist community, the inaugural exhibition of the Japan International Artists Society (JIAS) was held in Japan. In 2011, Mariko Magori assumed the presidency of the CAEA/JIAS and continues to function in this position to this day. 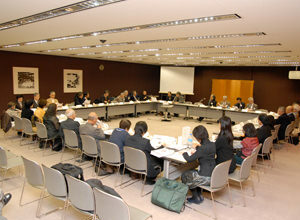 Three annual exhibitions are organized in Japan as well as in other countries around the world in order to help give Japanese artists international exposure along with promoting a forum for international cultural exchange.